Children will return to school this week to find that their IT lessons have noticeably changed. No longer will they be focusing on the intricacies of successfully switching a computer on or the inner-most-workings of Microsoft Word; instead, a new curriculum will be waiting for them. One, the government says, will prepare them for ‘life in modern Britain’. The rewritten curriculum, which the prime minister described as ‘rigorous, engaging and tough’, will see children learning to code from the age of five. 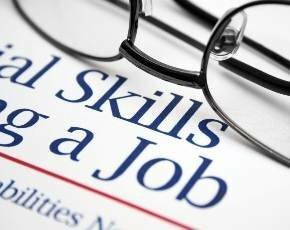 There is already a colossal skills shortage in the IT industry and the deficit will only be compounded as further demand is placed on technology. Neelie Kroes, European Commission vice president for Digital Agenda, recently claimed that if the issue was not addressed, Europe could face a skills shortage of up to 900,000 ICT professionals by 2020. It will come as no surprise then, that those in the IT sector are welcoming the new curriculum with open arms. Richard Gadd, UK managing director of Hitachi Data Systems (HDS), said that the move was critical to the well-being of British IT. “Incorporating coding and technical skills into the fabric of education is essential for the future economic success of the UK, and through the new curriculum, the government has taken a great first step towards nurturing the technology superstars of the future,” Gadd said. However, IT companies should perhaps refrain from counting their chickens just yet. Many education professionals feel that the roll-out of the new scheme, which also includes changes to English, Science, Maths and History, has been poorly managed. The Association of Teachers and Lecturers (ATL) recently polled its members and found that 89% of respondents described the implementation of the new curriculum as chaotic or flawed. Eight out of ten said they had not had enough time to properly implement the new changes and less than a quarter felt that they were prepared to start teaching the curriculum. How can you be expected to teach if you are only one page ahead of the students? Nansi Ellis, assistant general secretary at the ATL, told Microscope that it was not an issue of vision, but one of implementation. She said that very little training or resources had filtered down from the Department for Education (DfE), leaving most schools struggling to implement the curriculum. “The difficulty is that many of teachers don’t understand [coding] and therefore have to learn it themselves; How can you be expected to teach if you are only one page ahead of the students?” she asked, adding that because all of the changes were being implemented at once, the fallout had been exacerbated. Despite an apparently substandard, slapdash, if not surprising implementation from the government, the reality is that these changes are necessary; the transition from ‘ICT class’ to ‘computer science class’ has arrived a decade too late – but at least it has finally arrived. “The UK technology scene is an inspiring hub of great talent within itself and there are great synergies that can be achieved by exposing tomorrow's talent to it. The key is that we address the problem now and help ensure that we are preparing tomorrow’s generation with the right skills to help them succeed,” Gadd concluded.